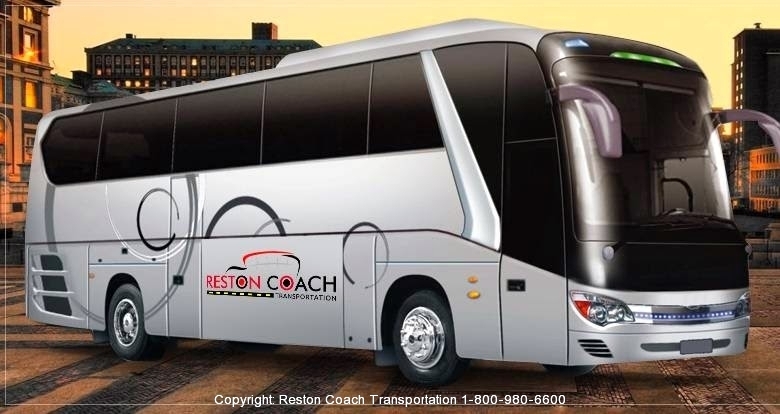 Reston Coach Charter bus Company has many luxury full size 50-56 passenger Charter bus/ Coach buses. They’re fully equipped, with bathroom / toilet and washing sink, luxury comfortable seating , DVD with flat screen TVs, CD player with iPhone/ Ipad jack. Speakerphone/ PA system (Tour Guide is available upon request ) Large overhead bins and luggage compartments for our of town trips . 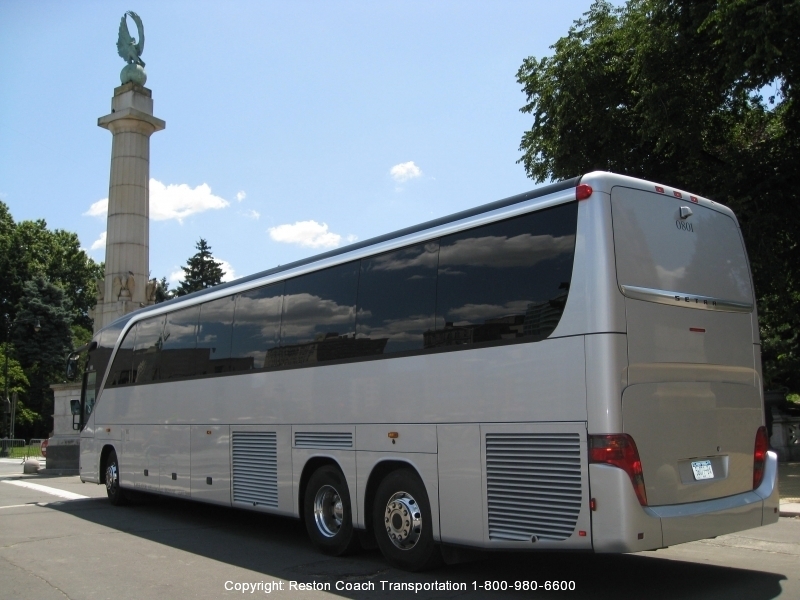 Our luxury Charter Bus / Motorcoaches are best choice for out of town chartering bus group travel. 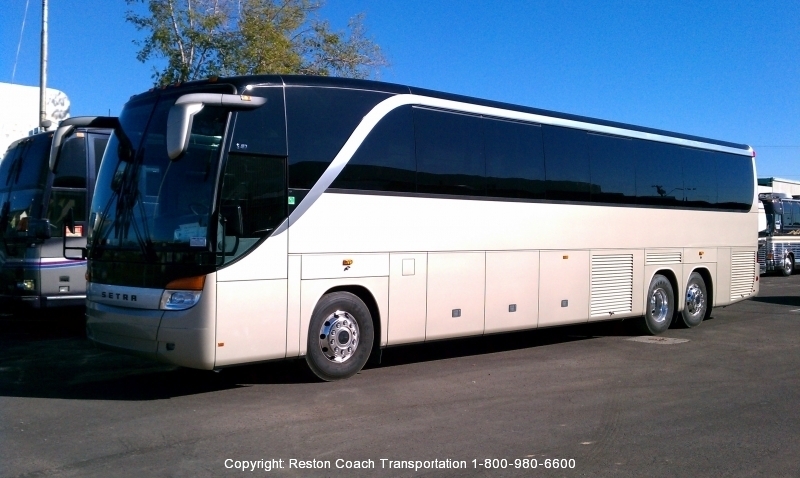 We do also have several Charter bus/ Motorcoach buses which are equipped with wheelchair ramp and lift. 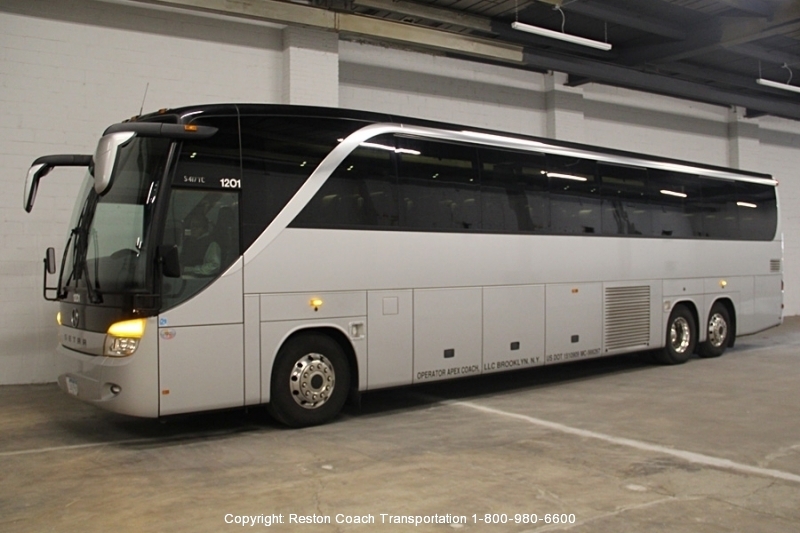 Our charter bus/ coach bus fleets and dispatch offices are located in Alexandria VA, Arlington VA, Fairfax VA, Reston VA, Sterling VA, NE Washington DC & Frederick, Rockville Maryland. 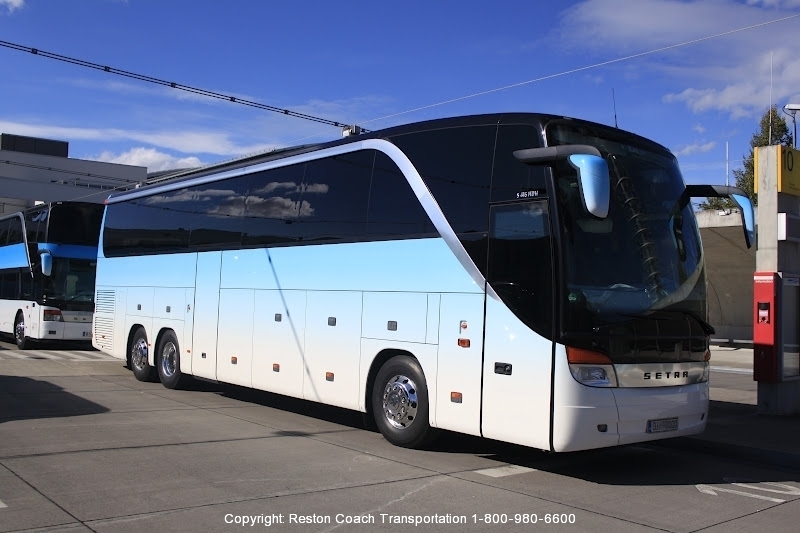 We are expanding our fleet and we will soon open additional charter bus / Coach Bus fleet location in NW DC, Springfield VA, Germantown MD. No matter where do you need our services, we will come to you. 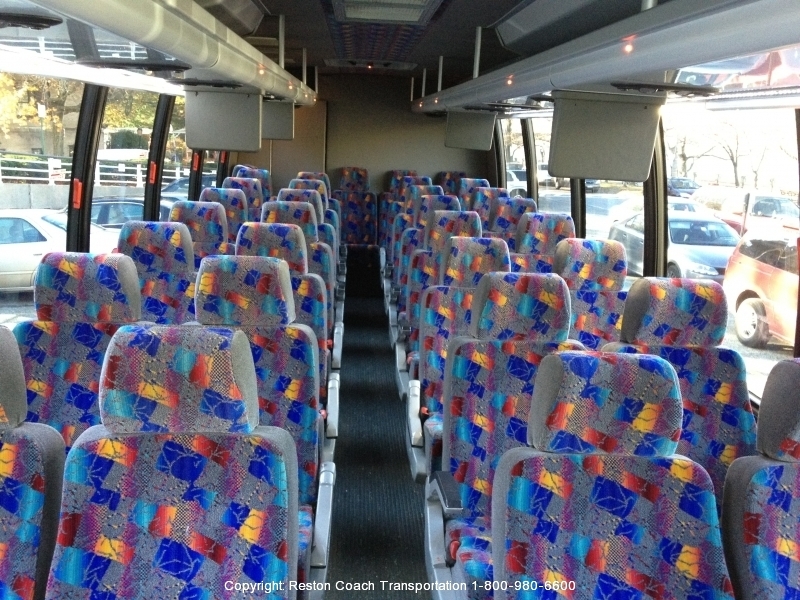 Long distance/ Out of town Bus Charter service on our Coach buses. 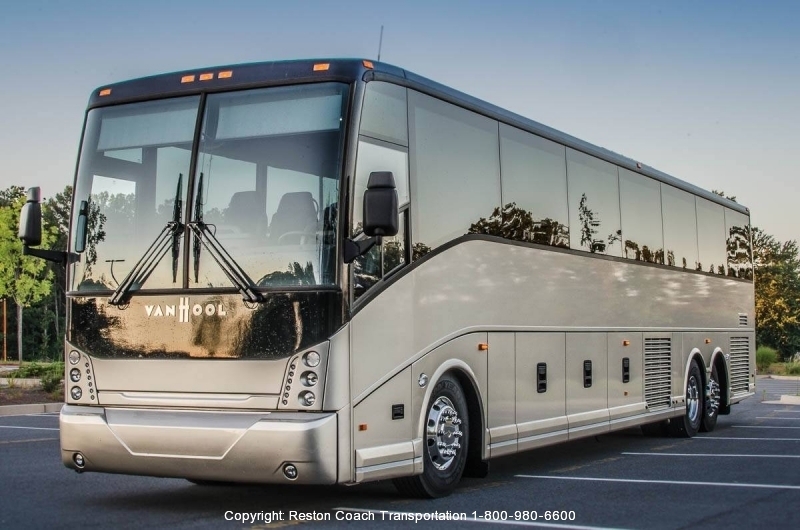 Long term Corporate Shuttle Bus & Charter Bus contract We offers corporate bus contracts, such as airline flight crew Charter Bus and shuttle bus services. , corporate employees parking shuttle service. Metro parking shuttle. Apartment complex shuttle bus service. 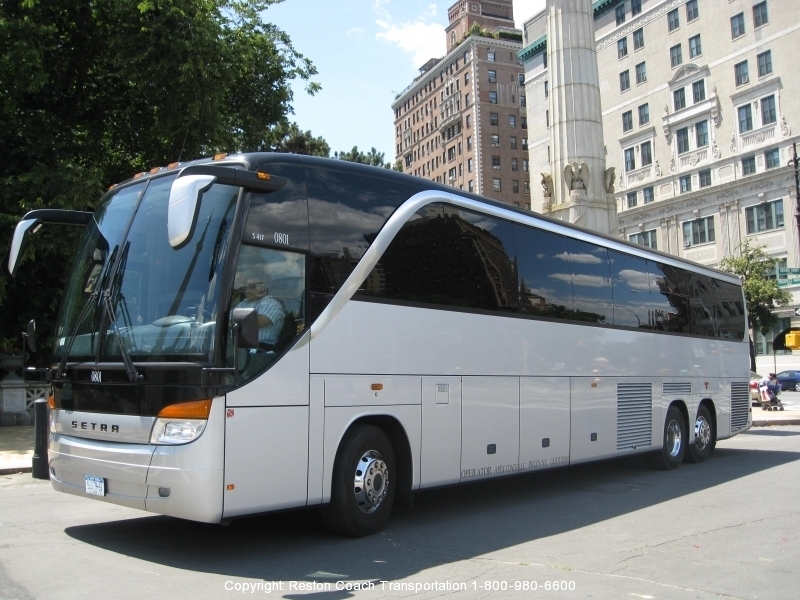 Dedicated, on schedule hotel Charter bus & shuttle Services, as well as a wide variety of other charter bus & shuttle transportation services. 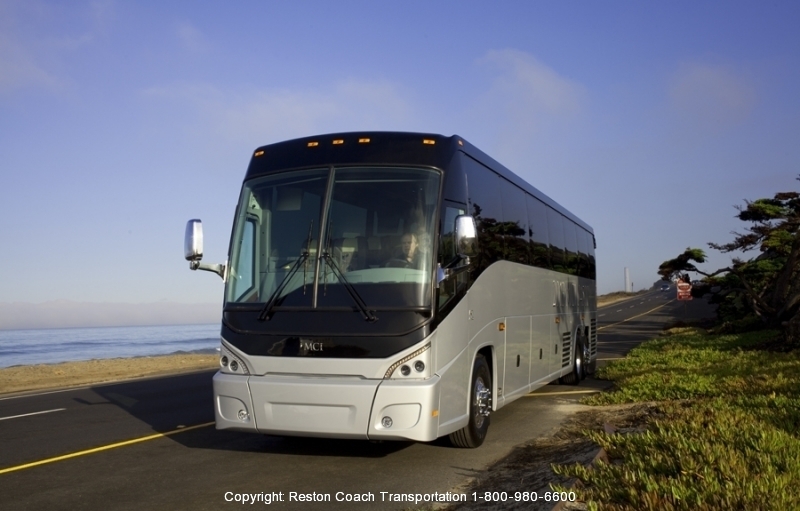 ; Reston Coach bus company can help and work with you and your limited budget. 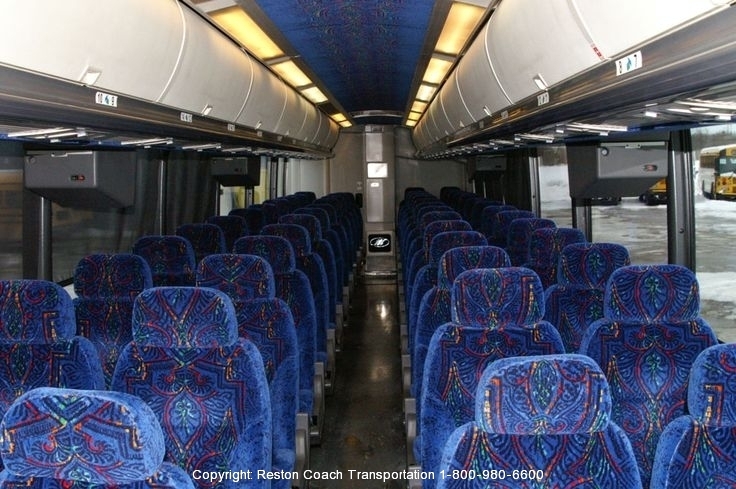 You can make an appointment to take a look at our late model Motorcoach /Charter buses before booking it so you have a piece of mind about the charter buses you are reserving for your group. We offer military, government & corporate discount, we also offer corporate account with monthly invoice/ statement which can reduce many transportation stress out of the booking.